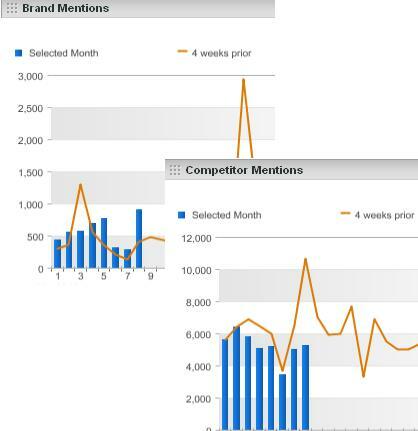 You can also set Alerts based upon this Calculated Metric to be notified when you are spiking or tanking in relation to your competitors! Lastly, I decided that the #Fail hashtag was too good to pass up. If your brand is mentioned in the same tweet as the #fail hashtag, you probably want your social media team (if you have one!) to be alerted at once! 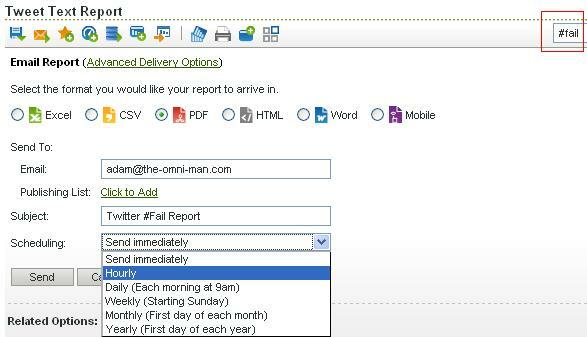 To do this, all you have to do is create a scheduled report with #Fail in the search box and schedule it to run hourly. Unfortunately, SiteCatalyst delivers hourly reports whether there is data or not (to stop this please vote for this idea) so you may need your social media folks create an Outlook rule to filter the alerts that say “No Data” in the subject. In addition, you can perform the same exercise for your “Competitor Tweets” since your social media team may want to be notified when your competitors have a #Fail hashtag in tweets mentioning their brand name! 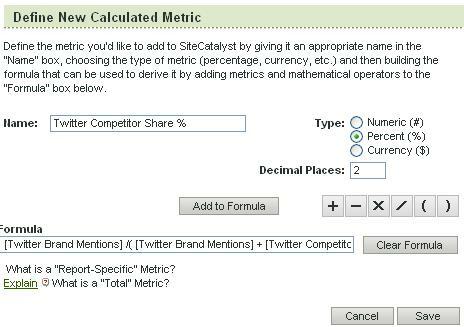 So there you have it…a few minor updates or enhancements to the Twitter – SiteCatalyst integration. If you have other ideas, please leave a comment here…Thanks! Hi Adam, Great post as always! 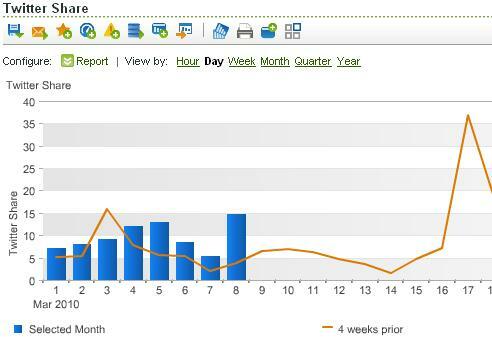 Awesome ideas with the calculated metrics and alerts. I also track the number of followers, both hourly and daily. Though number of followers not necessarily equals success its still a fun graph to have:-) You could for instance see if a #fail mention caused a decrease in number of followers.